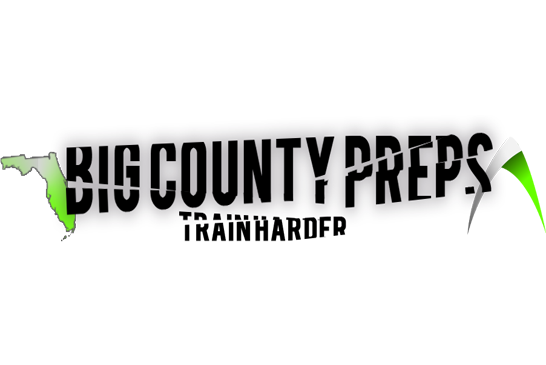 PROGRESS VILLAGE – The 2016 edition of Big County Preps’ (BCP) Ignite Showcase provided the quintessential balance of talent and competition as it always does on the 10th of January at Larry Sanders Park and we’d like to bring you up to speed on what you missed! 235 participants spread across nine position groups laid it all on the line at the event–which is the first of three in a series of camps leading up to BCP’s signature event, the Xecutives–which is held at the end of the summer. The next event that will take place is the E7 Spring event that will be held on the campus of Southeastern University in Lakeland on April 10th. Whatley is a name you should pay very close attention to in the coming months as he is now under the tutelage of Wayne Peace at LCS and has the tools to become one of the region’ best QB’s in his class. He’s already one of the top rushers in the city with over 2,000 yards for the Tigers this past season, and he is on the grind to cement his name as the top RB in the region. Davis clocked a 4.42 in his 40-yd dash as well and finished the highest overall rating in the combine. Brown made a huge splash at the event beating out some of the biggest names in the six-county area including UF commit Daquon Green who was a man child himself–which should tell you a little bit about Brown’s game. Witchoskey has been doing this for well over a year now with-or without the pads. The rising senior beat out some pretty stiff competition for the award, including Clearwater’s Kane Taylor (6-3/270) that moves like he’s a running back, which–just like in the case of the WR’s MVP Justin Brown–should tell you about the game that Witchoskey possesses. Hauschild equals man-child when you look at the frame on this young man and then watch him go to work. He’ll be asked to handle some of the regions’ best pass rushers this fall and has shown he’s capable of becoming a stud on the next level. Carter is a nationally-ranked prospect and with good reason. The defensive end was mauling his opponents all afternoon in one-on-one’s and showcased why the Terriers have a revolving door of Power 5 coaches signing into the front office to visit the young man. He’s starting to grow like a weed, and he’s already got the genetical make-up that most of us would kill for as the son of one of the greatest LB’s in the history of the game–but that’s not why he’s the MVP at the spot for the second-consecutive year at this event–it’s because he’s one of the best linebackers in the region–with-or-without pads. Period. Extremely diversified in his skill set–like a true ATH–but with excellent cover skills out on the island. Sanders has full recovered from a knee injury that sidelined him his sophomore season to have a breakout junior season for the Crusaders and is carrying the momentum into his senior year obviously. He also posted the third fastest 5-10-5 time with 4.18 seconds. Burney is built like an outside linebacker–but with safety speed. He posted a 4.50 in the 40-yard dash and has compiled over 160 tackles and five INT’s for his squad with the pads on his first two years in high school. With the pads off, he was dominating his match-ups in coverage every time without exception. Sessums was the runner-up for Player of the Year in Class 3A and threw for over 2,700 yards last season. During the Ignite Showcase, Sessums finished with the second-highest rating behind Jesuit’s Malik Davis and was the fastest in the three-cone with a time of 7.12 seconds along with posting a 10.1 broad jump showcasing his athletic ability in addition to his arm. Lemons is picking up Power 5 offers virtually every day, and following a massive season for the Tornadoes with the pads on, he picked up right where he left off last season during the camp sessions and began to show his tenacity and skill-set right from jump in his timing events and his one-on-one’s. He also posted a 10.0 on the broad jump. The University of Florida commit showed plenty of reasons why Coach Mac and his staff can’t wait to get him up to Gainesville. The rising senior ran as crisp a route as you’d possibly hope for from a wideout and was in the zone all day. Taylor is like a freak with his athleticism and can play virtually any position you ask him to. On Sunday afternoon, he was running with tight ends and once he gets the hang of the position, will be an absolute nightmare for opposing defenses. That frame listed is not a typo–he’s a large human being–and he’s getting better every single time he shows up to camps and on film. Pay very close attention to this young man’s status and start finding Fort Meade on your atlas’ immediately. You will want to see this young man in action. This southpaw can sling it and still has two more seasons to develop his skills–which will be scary-good by the time he’s ready to exit high school and head to the next level. Penix Jr. was an MVP at this event last season coming off his freshman season and was pushing for the top spot again this year. Deshazor Jr. is another one of those prospects that barely missed the top spot–which would have made him yet another second time winner of this award at this event. He’s got all the skills to have yet another monster season for his team once the pads come on–building on top of his already established reputation as being one of the best and most consistent performers at these events throughout his time.